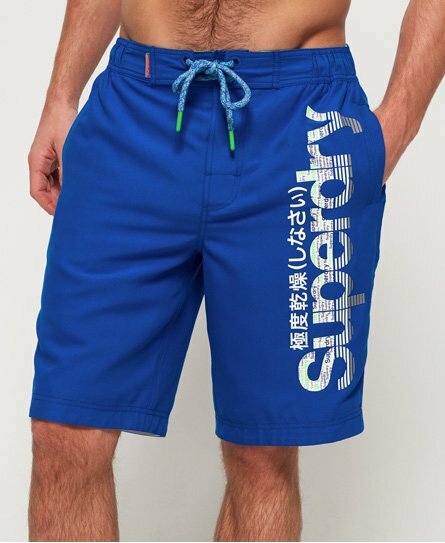 Superdry men’s Boardshorts. A pair of swim shorts featuring a large Superdry logo on one leg, two front pockets and one back pocket with a zip fastening. These swims shorts have an elasticated waistband with a hook and loop and drawstring fastening, mesh lining for added comfort and the signature orange stitching on the side seams. These swim shorts are finished with a Superdry logo badge above the back pocket.